The Achievement Program (AP) is the NMRA’s educational program to help you learn the crafts and skills necessary in the hobby of model railroading. The AP challenges you with a set of requirements for demonstrating a superior level of skill in various aspects of our hobby. With the completion of each category, you are issued a certificate acknowledging your achievement. If you have questions about the Achievement Program or want to start on your first certificate, contact the division AP Coordinator, Dave Messer, MMR, or the AP Committee Chairman, Earl Paine. Information about the Achievement Program, including requirements for each certificate, is available from the NMRA website. Don’t forget your fellow division members who have completed, or are working towards, a certificate. They are great resources. 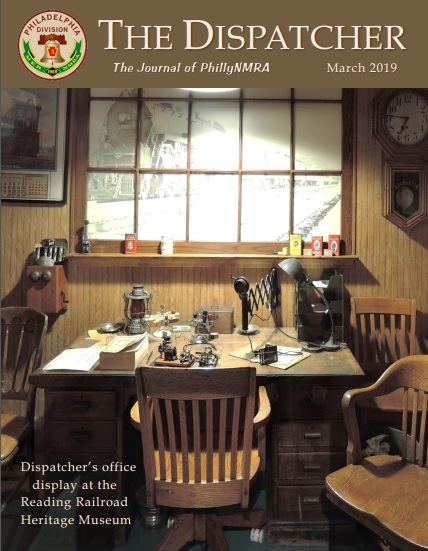 Check out the Honors Page for a list of Philadelphia Division Members who have earned Achievement Program certificates or a Golden Spike Award. If you have earned an AP certificate or Golden Spike Award and it not listed, please contact website maintenance. The NMRA Achievement Program can help build your modeling experience. Model Railroad Author – this award involves accumulating points based on how much you write (a page is about 1200 words) and where it is published.